Prepare to be amazed! Babies are wired to acquire languages. Speech and language development takes time but babies start early and with a solid foundation before they are even born! Here are 5 Amazing Facts About Your Bilingual Baby’s Brain. #1 Your baby starts to hear at around 26 weeks of your pregnancy. Now of course, this isn’t exactly like hearing on the outside! Sound has to pass through skin and muscle and amniotic fluid. But research shows that babies can tell the difference between sounds like /b/ and /z/ before they are even born. Distinguishing one language from another in a bilingual baby is robust at birth . 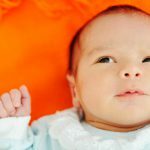 They show language preferences at birth and shortly after for languages they heard while still on the inside! Your bilingual baby’s language journey starts before they’re born! #2 New born babies show a preference for stories that were read to them before they were born. They also show a preference for their mother’s voice at birth. Only a few days after birth, new born babies respond differently to language and to non-language sounds. Very young infants prefer to listen to speech over non-speech sounds. #3 Babies are born with the ability to distinguish between and produce all of the sounds in all of the world’s languages! That’s around 600 consonants and 200 vowels! Starting at about 6 months of age, this ability gradually starts to narrow to the languages in their environment. #4 Babies learn language rules earlier than you think! All languages have rules for what sounds can go together to make syllables and words. Like in English, we don’t have words that start with /nd/. But Swahili has words that begin with this combination of consonants. At 9 months of age, babies have been found to show a preference for what are called legal combinations of sounds in their languages. #5 Babies don’t just learn languages by listening. Looking at your face is important too. There’s research to show that 6 and 8 month old bilingual babies could distinguish between French and English speakers just by looking at speakers on videos with the sound turned down. If you want to read more about your bilingual baby’s brain, be sure and read this post that I wrote for Bilingual Kidspot. If you like this post, please pass it on to your friends. And if you haven’t already signed up for email updates, be sure and sign up! Byers-Heinlen, K., Burns, T., & Werker, J. (2010). Monolingual, bilingual, trilingual: infants’ language experience influences the development of a word learning heuristic. Developmental Science 12(5): 815-823. Byers-Heinlen, K., Burns, T., & Werker, J. (2010). The roots to bilingualism in newborns. Psychological Science 2 (3): 343-348. Byers-Heinlen, K., Morin-Lessard, E., & Lew-Williams, C. (2017). Bilingual infants control their languages as they listen. Proceedings of the National Academy of Sciences of the United States of America, 114(34): 9032-9037. Werker, J., & Byers-Heinlen, K., & Fennell, C. (2009). Bilingual beginnings to learning words. Philosophical Transactions of the Royal Society. 364: 3649-3663.